Property Management Platform for small and medium size property managers, independent landlords and renters. 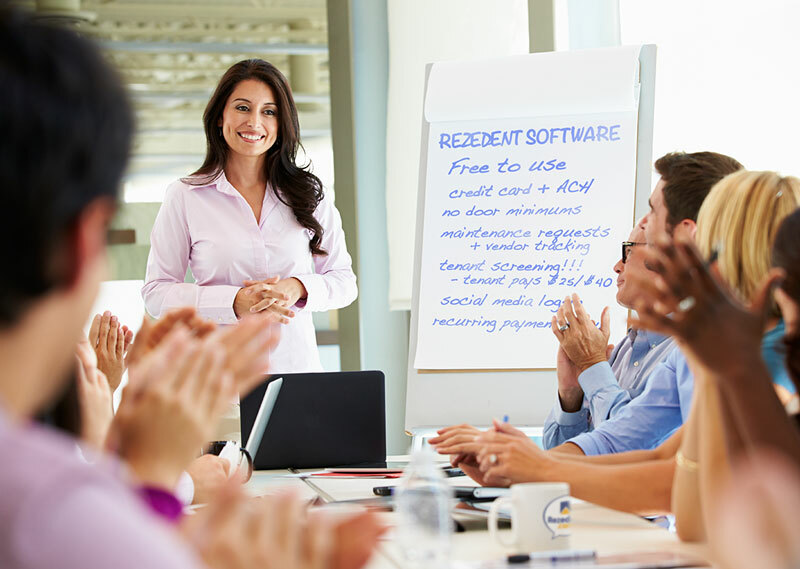 Rezedent is an online platform for rental and HOA property managers to take control of all the time-consuming tasks associated with running your business, and keeping your residents happy with modern tools for payments, communications, announcements, polls, community-building, and more. Best of all, Rezedent is priced right; get all your residents to pay their rent or dues through Rezedent, and it's completely free to use. Rezedent, property management for the way we live. Collect ACH or credit card payments online, through our fast and secure integrated payment portal. 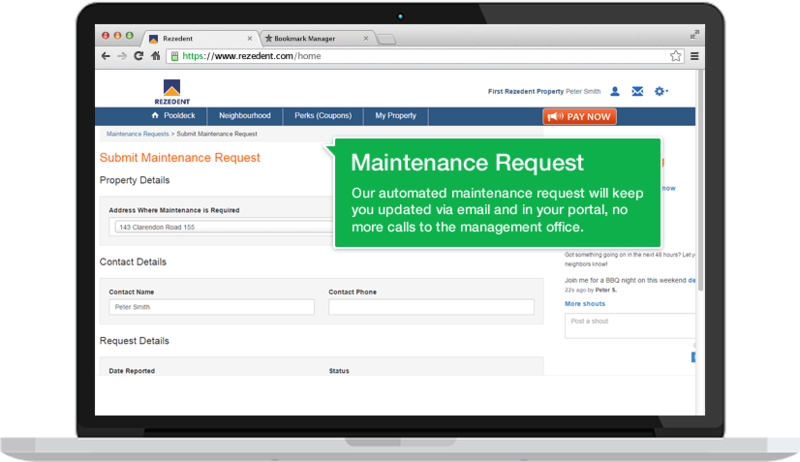 Receive and respond to maintenance requests and assign repair crews anytime and anywhere. 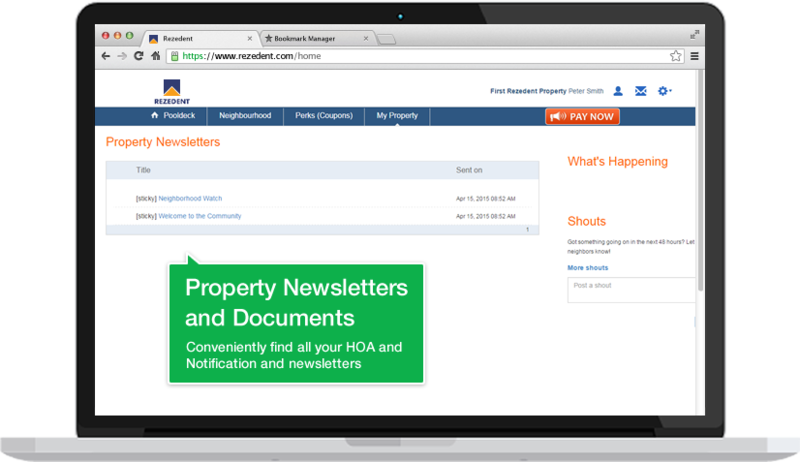 Manage resident communications with online newsletters, updates, polls, and announcements. Screen tenants and accept online applications with our deep-dive background and credit check. 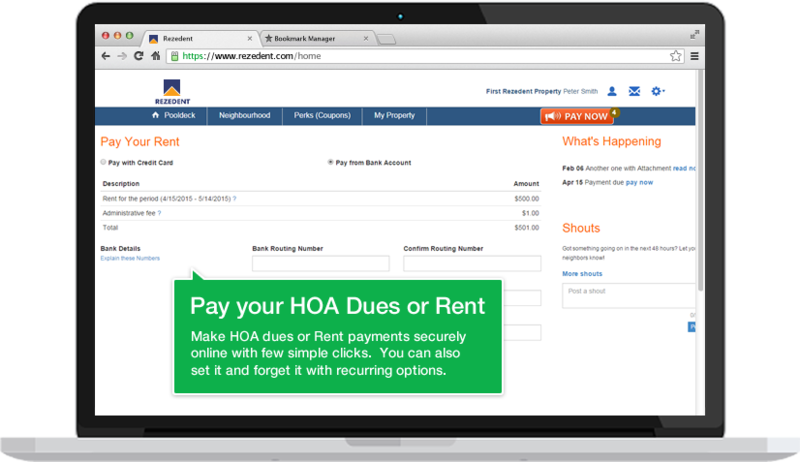 Pay rent and HOA dues online with e-check or credit cards through our secure payment portal. 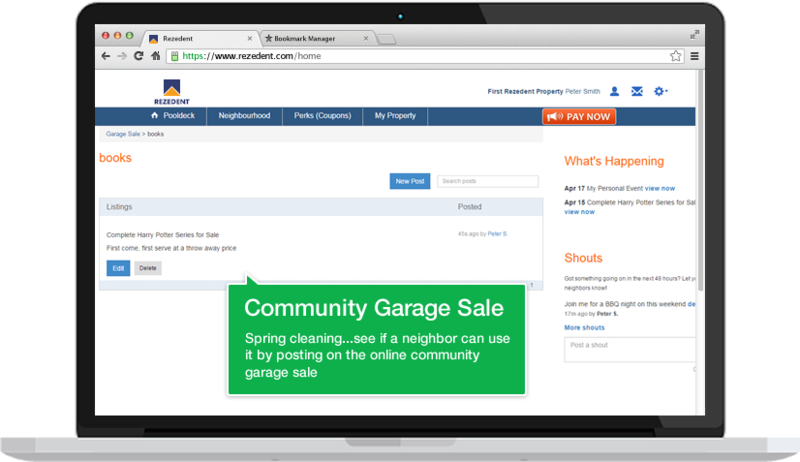 Connect with your neighbors and communicate online to organice events or sell your stuff. Submit maintenance requests online and receive status updates on the progress of service or repairs. It pays to be a Rezedent. 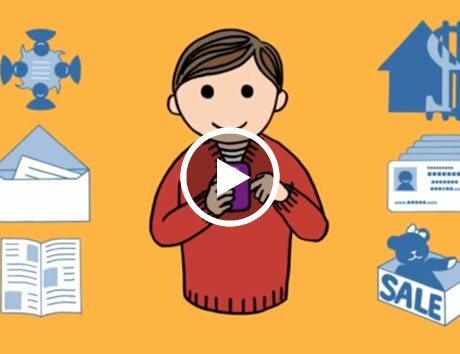 Get deals on local businesses, restaurants, cleaning services, and more. 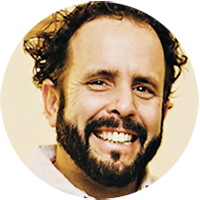 Variable subscription for managers & owners. Rezedent is free for all doors who pay online, just 50 cents a month for doors who don't. Built by property managers for property managers. We want to hear from you, get your feedback, and know what you need. Build your business by saving time and money managing your properties and free up your ability to bring on more doors. Unlimited support in the first 30 days to make sure you're set up and able to accept online payments and tenant screening. Using Rezedent.com makes rental payments and their transfer of funds occur quickly from my tenants, which cannot always be said of other services. 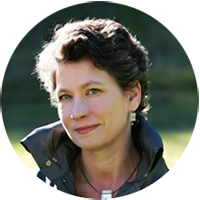 The staff has been a real pleasure to work with and always is receptive when I give feedback. Rezedent has made managing my units even easier! 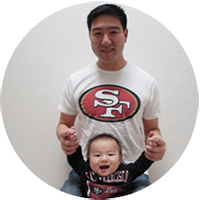 As a father of two young children, my time is a precious resource. I like using Rezendent because my payment is set to autopay and conveniently sent with an electronic record. This is especially helpful when the HOA invoice doesn't match my payment records. I am a landlord who owns 4 properties with a total of 26 units. I have had such a great experience with Rezedent.com that when I returned the call of another landlord who was doing a rent check for an application on one of my tenants, I happily recommended Rezedent.com to him.